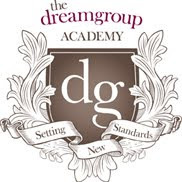 DreamGroup Wedding & Event Planners: Have you Always wanted to be a Wedding Planner? This Spring, learn from one of Vancouver's most reputable wedding planning companies. Become a Wedding Planner with the confidence to lead your clients through an efficient and informative planning journey. Just wanted to drop you a note to say how much I enjoyed the class and field trip. Thank-you for sharing your expertise and experiences with us - very insightful! The course outline covered all aspects of wedding planning and your detailed notes are greatly appreciated. I really enjoyed each class and hearing all your stories - invaluable and entertaining! Upon finishing the course I feel even more strongly that this is the right career path for me. I am really excited to become a wedding planner - something I didn't think of as a "job"! Thanks again and I'm sure I'll be in touch with a question or two! Spring Term begins April 16th, 2012. Limited seats available!